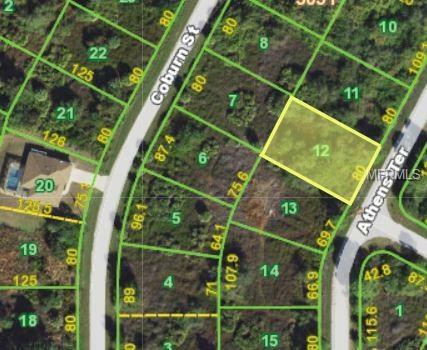 Nice double lot (lots 12 & 13 on aerial) in the West Port Charlotte area. Lots have electric available running along Hellcon Ave. Property is within three miles of Publix, Home Depot and area retail. Excellent location for residential home. Both lots being sold together.